The start of this trip was different from all of my previous trips in that the trip portion actually started in Northern Illinois, not my home in Michigan. 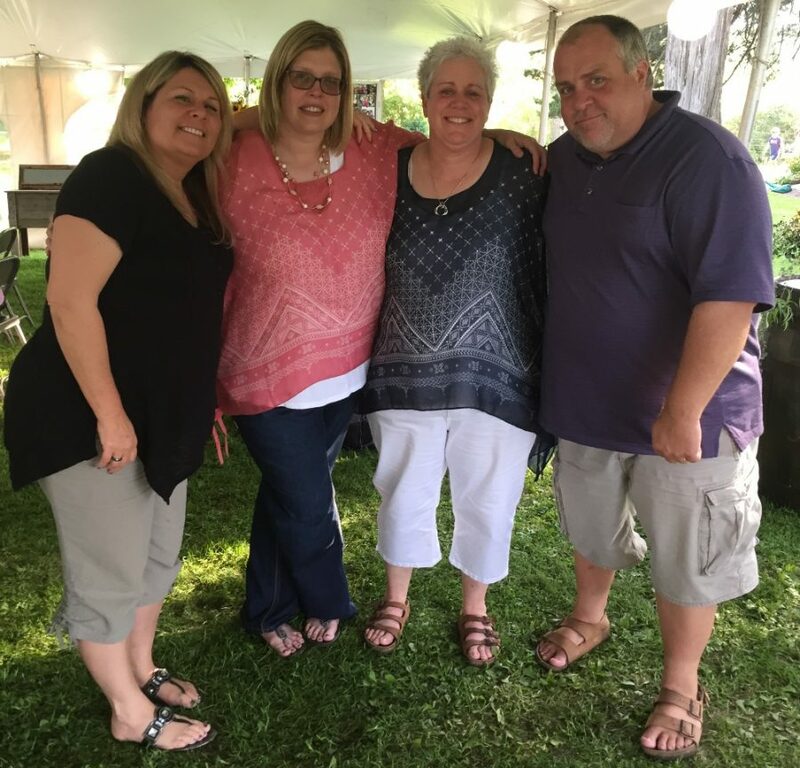 The reason for this was the wedding ceremony of my friends Nikole & Kathi over Labor Day weekend in Freeport, Illinois. With all the solo driving I was going to do on the trip, and the fact that I miss her tremendously on these journeys, it was nice to have her with me. The wedding celebration was fun and set on Nikole’s gorgeous family farm. My wife flew home the next day, and I turned and headed west. 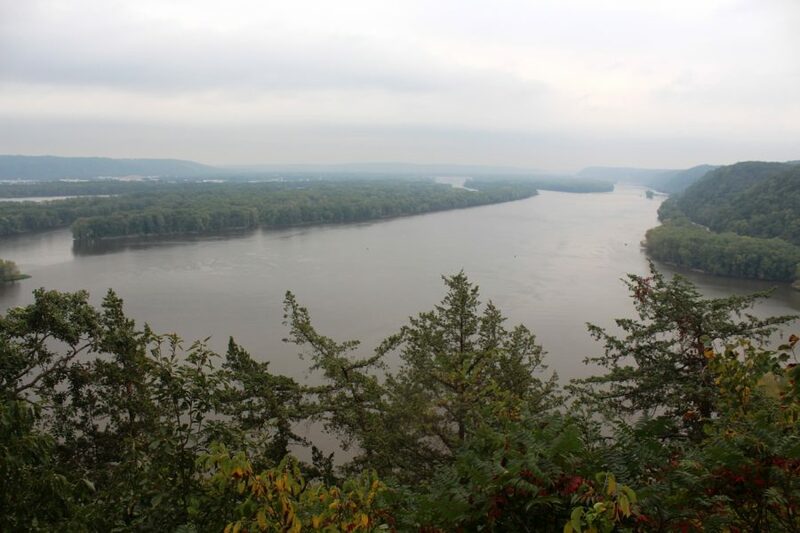 My first stop was at Effigy Mounds National Monument, scenically located on a bluff overlooking the Mississippi River in Northeast Iowa. I had visited the monument previously back in November of 2005, and the differences in visiting during the winter as opposed to summer are obvious. 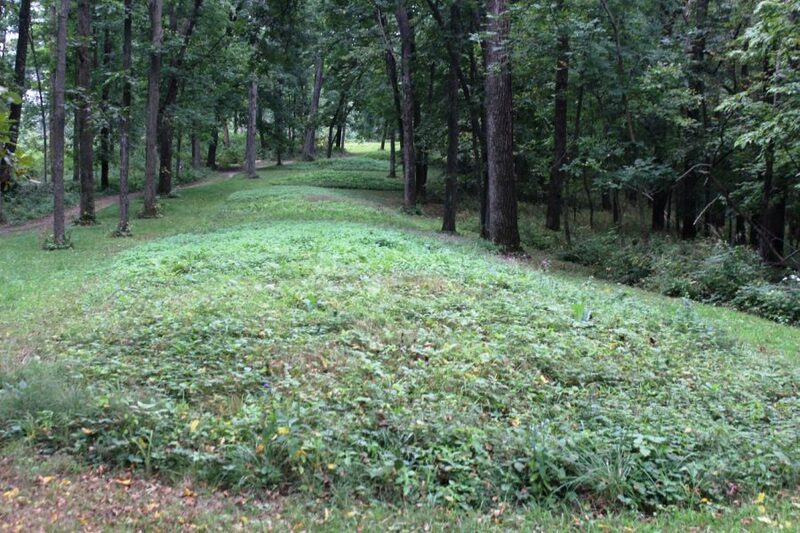 The views of the Mississippi and the unique history of the mounds themselves made the long uphill hike and battling the persistent mosquitoes worth the effort. 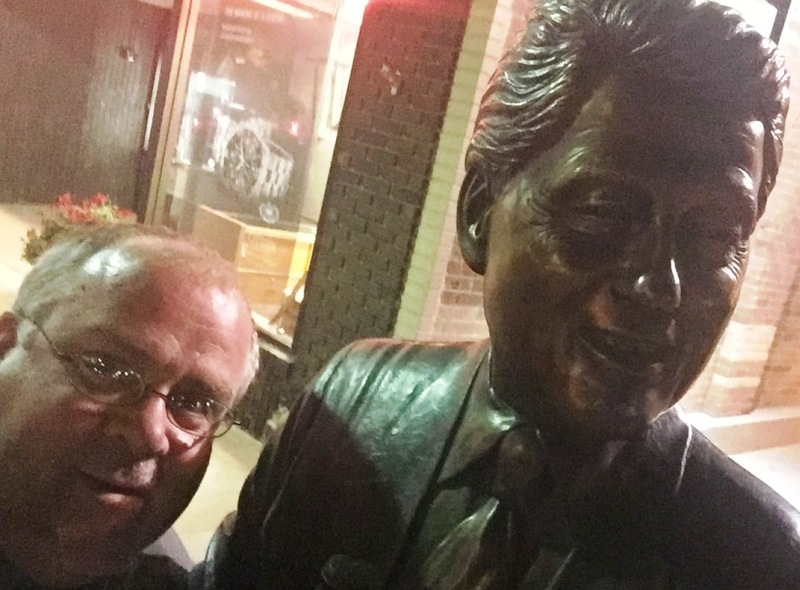 I made a quick stop in Decorah, Iowa to visit a bucket-list brewery, the made the long drive across Southern Minnesota, where I was treated to a glorious sunset, before stopping in Sioux Falls, South Dakota for the evening. I was up and at it early morning for the long drive across South Dakota. 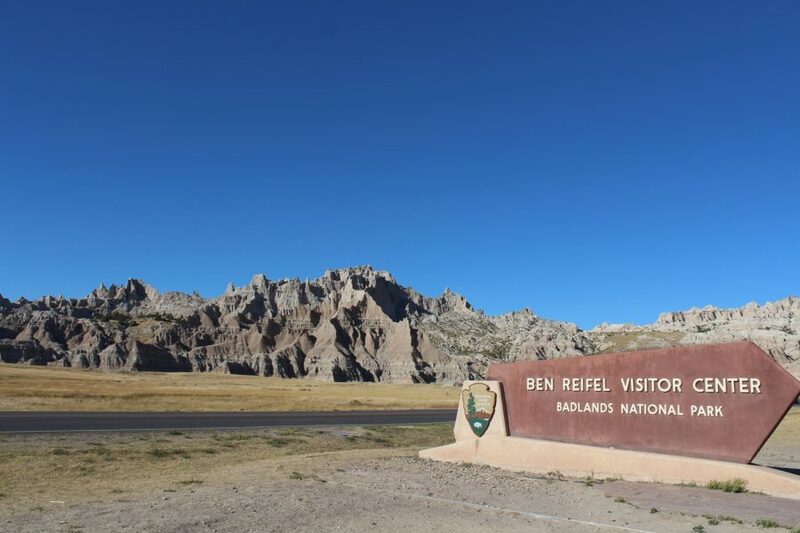 I made three stops along the way to my campsite in Badlands National Park. 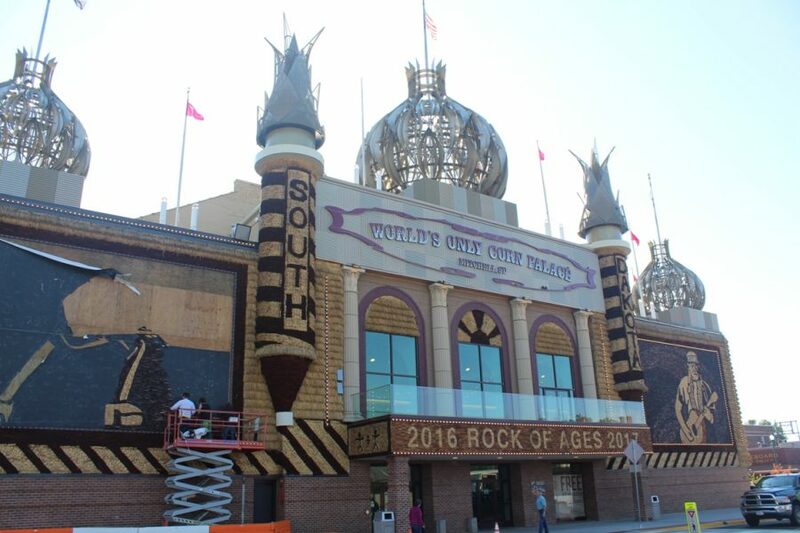 The first was The Corn Palace, located in the small town of Mitchell. 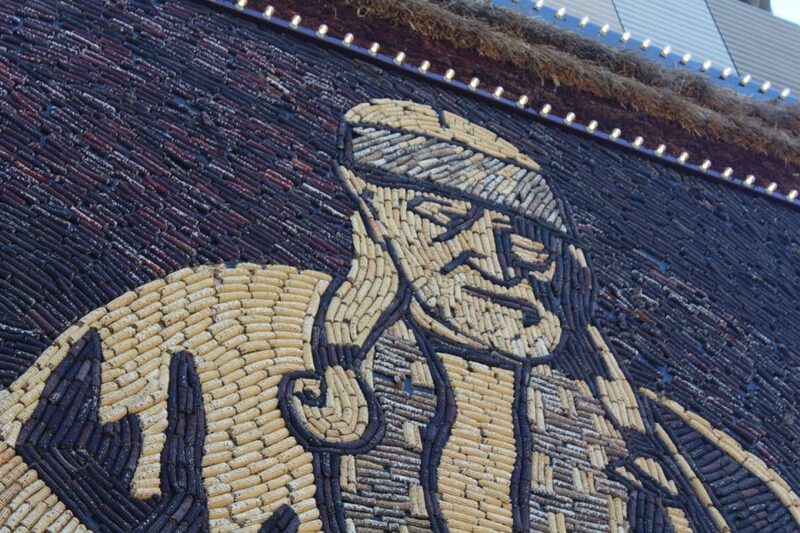 Visitors to The Corn Palace are treated to it famous murals made from corn and other grains. It’s a bit silly and very touristy, but also the definition of Americana. 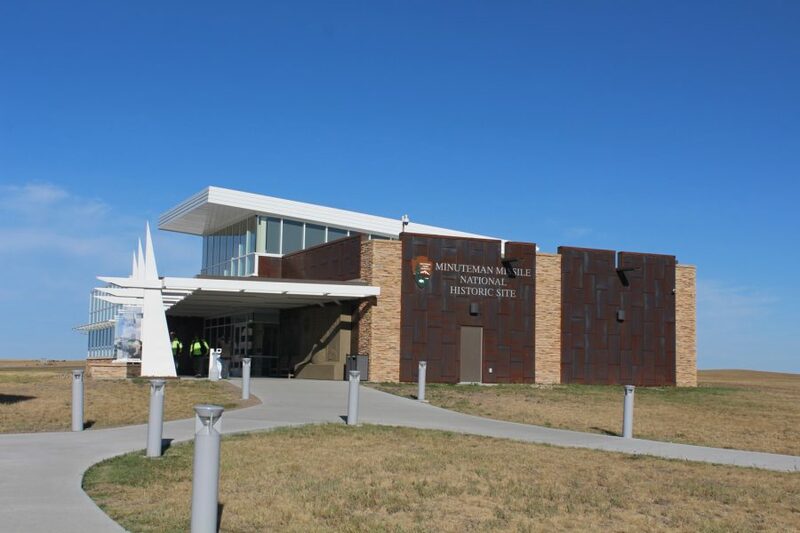 The second stop was a rest area along I-90 right before it crosses the Missouri River. It’s not often that a highway rest area is considered a tourist site in it’s own right, but this one is and it is exceptional. 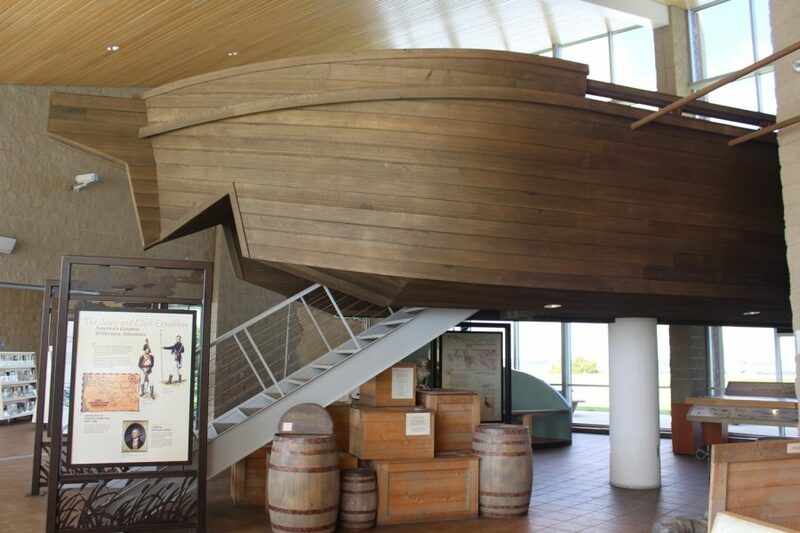 It has a nice mini-museum dedicated to the Lewis & Clark expedition, sweeping views of the Missouri and it’s surroundings, as well as tourist information for the rest of the state. 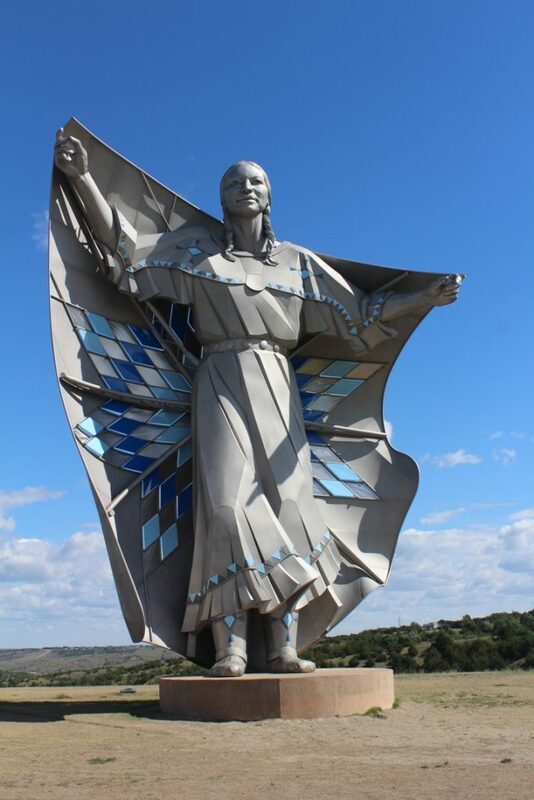 The scene stealer here is the 50 foot high statue Dignity of Earth and Sky, dedicated in 2014 to celebrate both South Dakota’s 150 years of statehood while paying respect to the native cultures who have played such an important role in the state’s history. 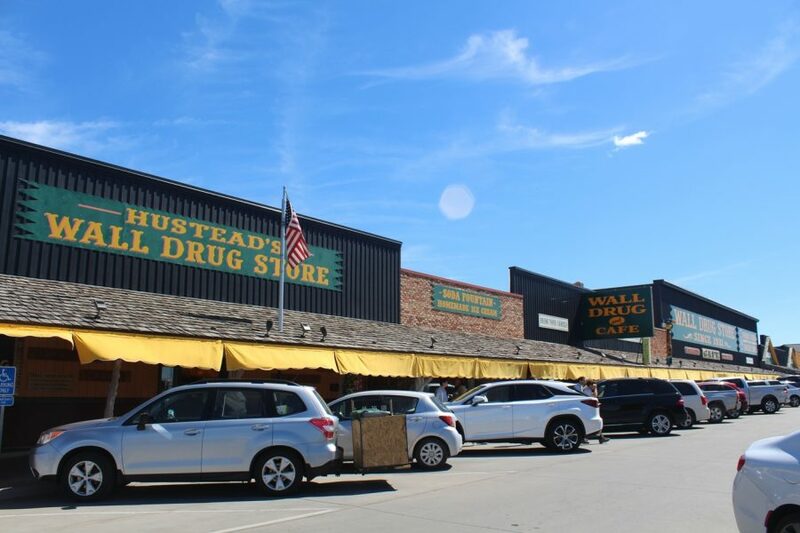 The third stop was Wall Drug, the well-known tourist trap in the tiny hamlet of Wall, just north of the Badlands. 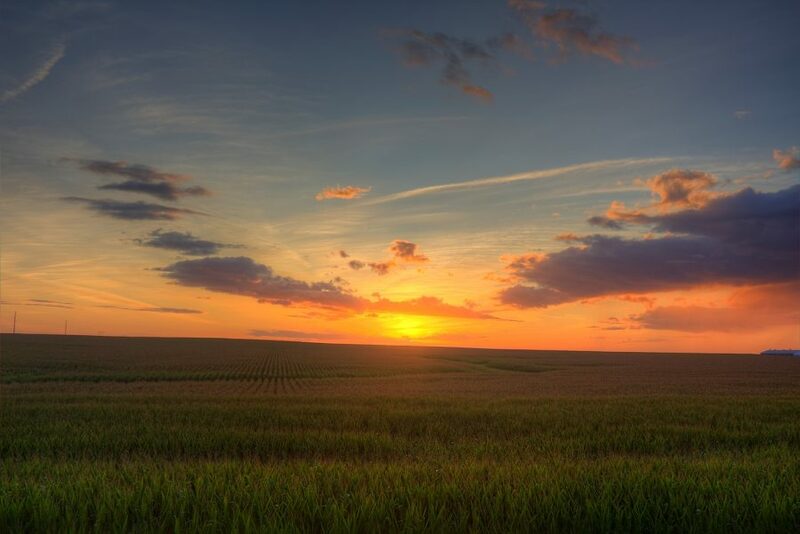 I use the term ‘tourist-trap’ with as much love- it’s kitchy and excessive, but, much like the Corn Palace, it’s a piece of Great Plains lore and roadside Americana. We’d visited as kids on a couple of our long family road trips and loved the place, and that made this visit nostalgic for me. 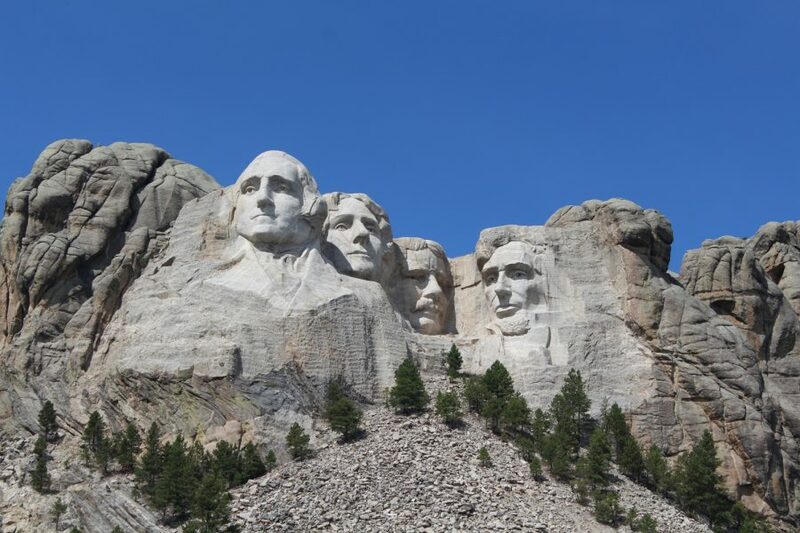 I was glad I’d visited off-season, because I can only imagine the throngs of tourists during the height of the summer. 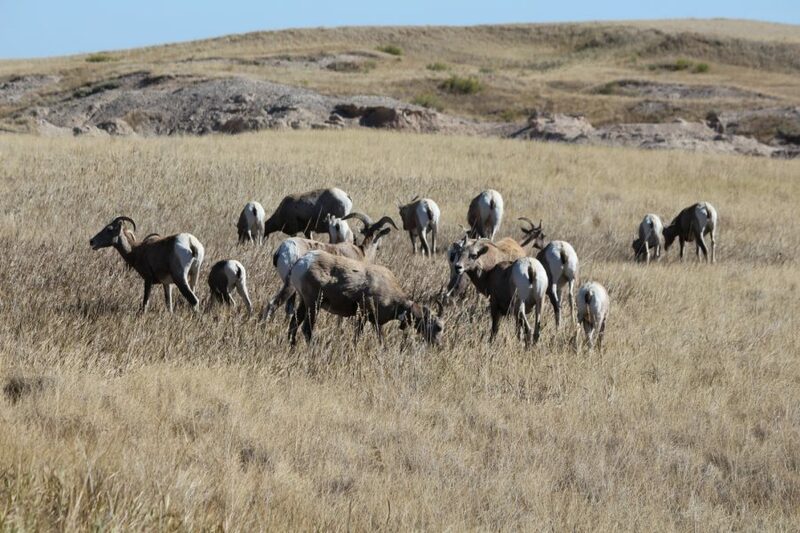 It was mid-afternoon when I made it to Badlands National Park. This park of eroded hills and spires , as well as a large grasslands ecosystem. The exposed layers of rock tell the story of the ancient sea that used to cover much of the central United States. 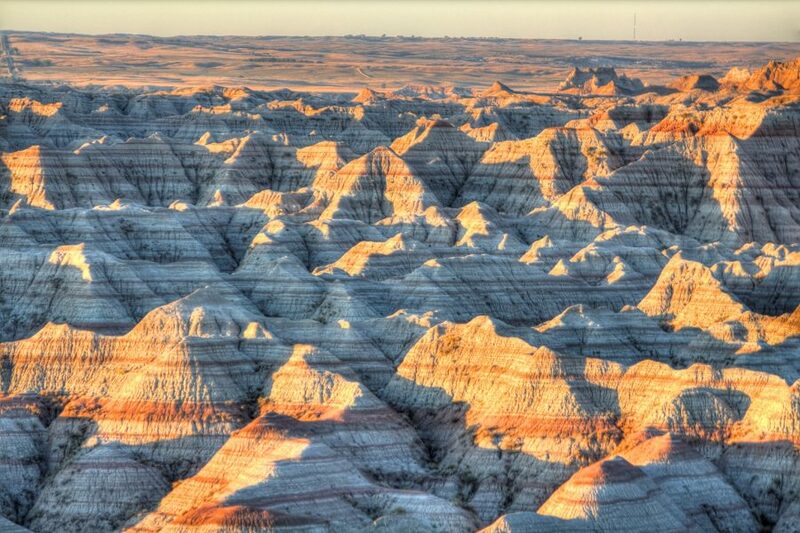 The name Badlands came from the first settlers who tried to cross the area heading west, and the difficult terrain proved to be quite the barrier to westward expansion. 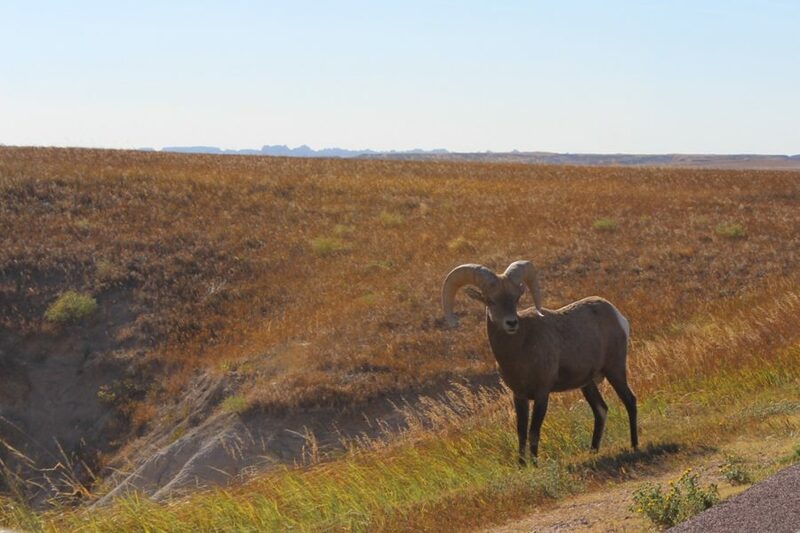 Today, scenic byways cross the park, and for those with more sense of adventure (and a vehicle that can handle it) more rugged unpaved roads venture into the park’s vast backcountry. 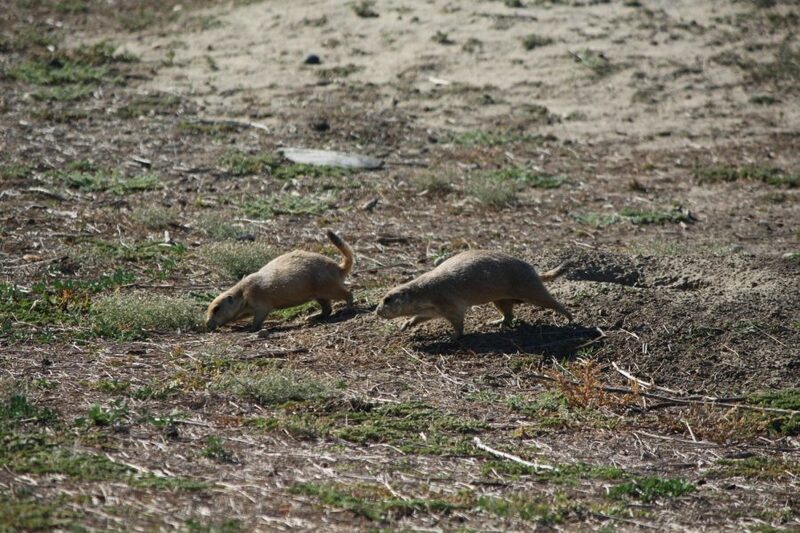 The park is also known for it’s exceptional collection of wildlife. I was able to see mule deer, bighorn sheep & a couple coyotes. 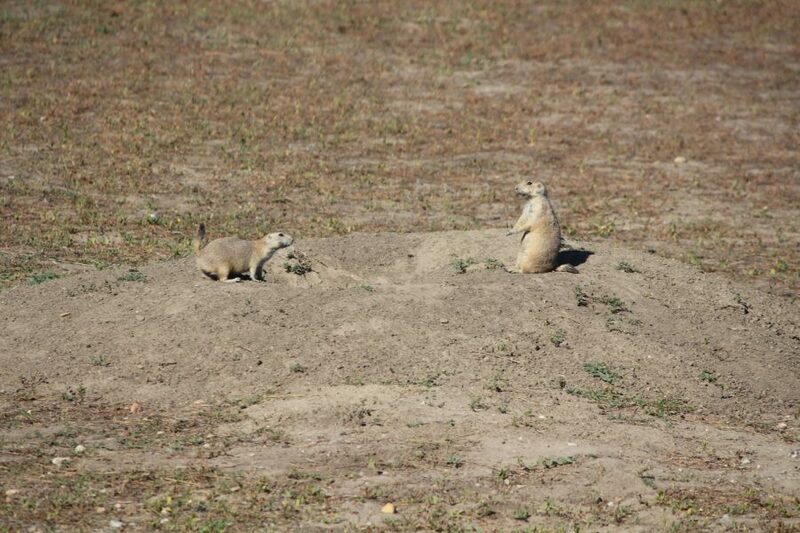 The star of the park, however, are the prairie dogs. I spent hours taking photos of these adorable little creatures. 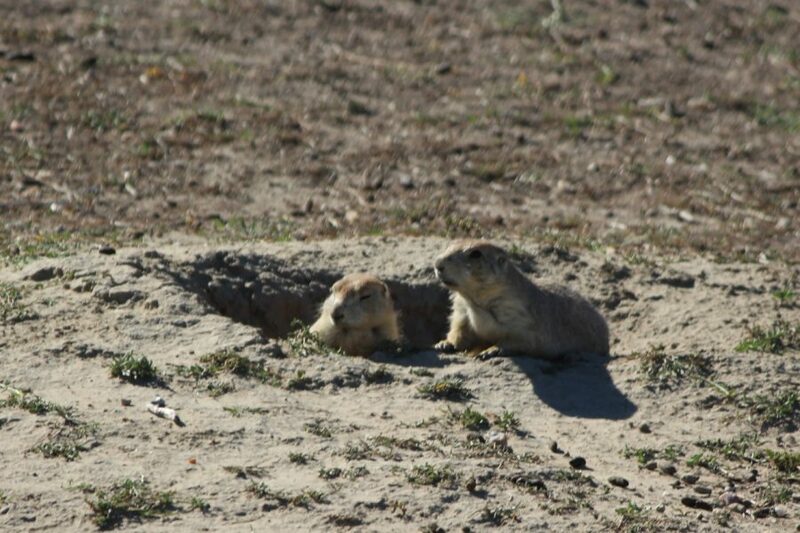 The are a large number of prairie dog towns spread all over the park, including some right next to the park’s main scenic byway. 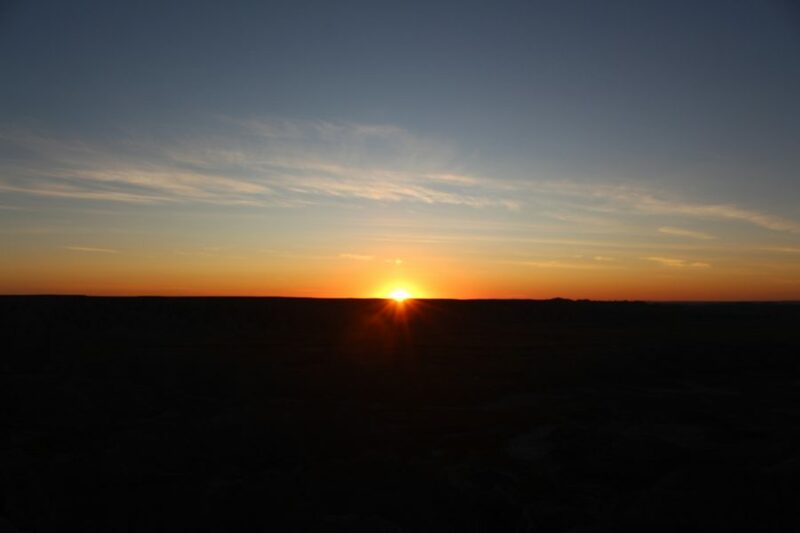 I chose to photograph sunset from two well-loved spots, Bigfoot Pass Overlook & White River Overlook. I camped just south of the park’s southern boundary, and was treated to a gorgeous canvas of stars, as well as the eerie sound of coyotes howling in the distance. 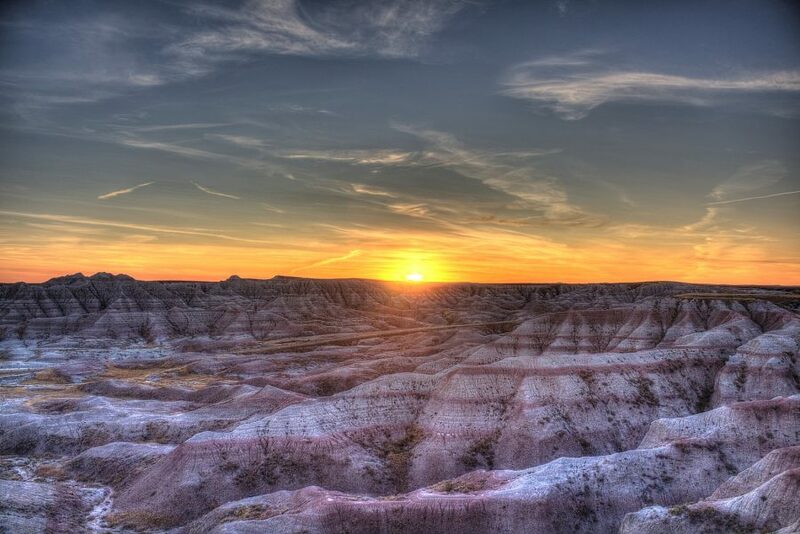 I’d asked a ranger at the visitor center the night before where the best place to photograph sunrise was, and he suggested Big Badlands Overlook near the park’s north entrance. It was a cold morning, but an amazing sunrise made getting out of my nice, comfy bed worthwhile. 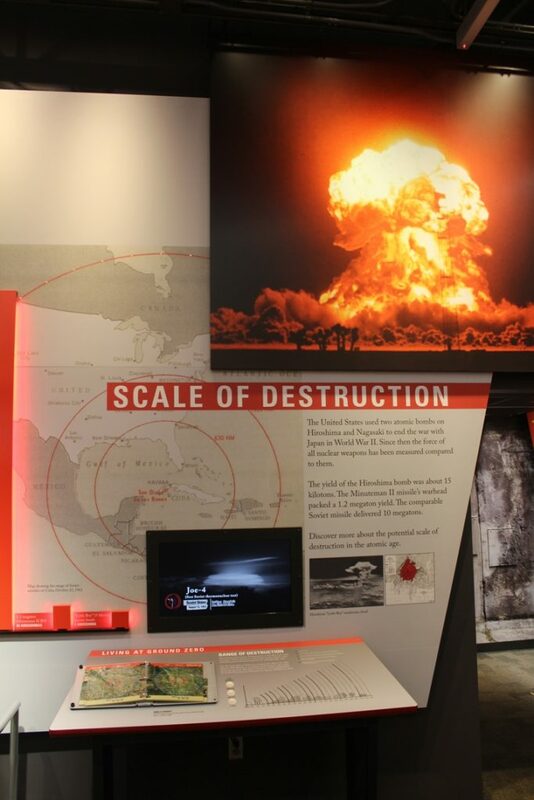 The second stop of the day was Minuteman Missile National Historical Park. I first visited the park back on my 2006 trip, shortly after it had started conducting tours. 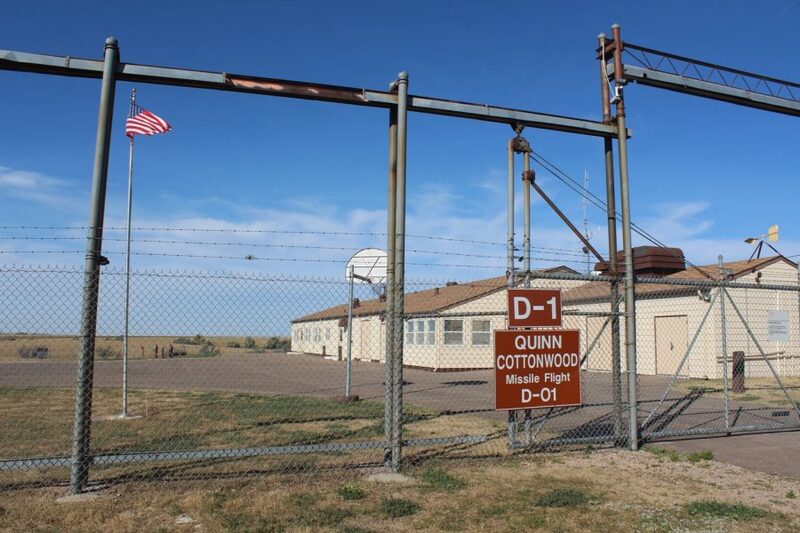 The park preserves a Cold War era launch control facility, as well as a missile silo. The park had also built a fancy new visitor center in the 11 years since my last visit. As with most of these, it was excellent and offered an honest portrayal of the Cold War. The tour was much the same as my last visit, with the launch control facility looking exactly the same as it had back in 2006. 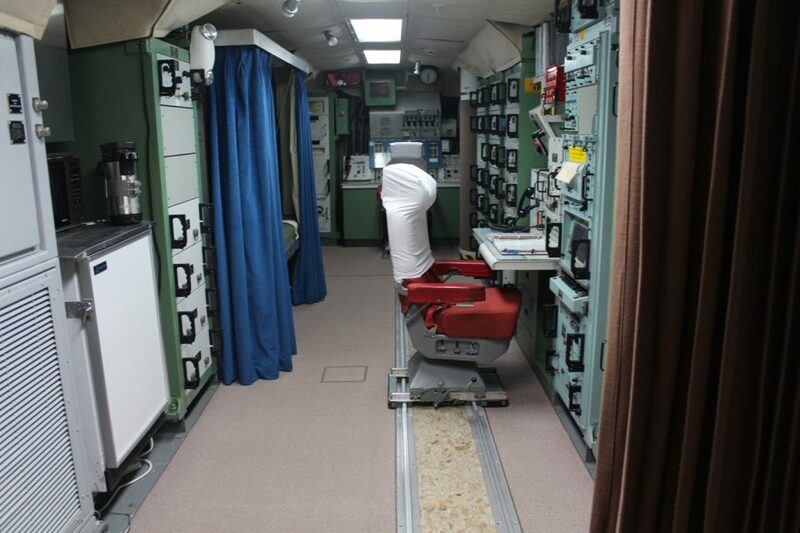 The highlight of the tour is the underground capsule launch facility, which looks very similar to how movies and television from the era portrayed these rooms. 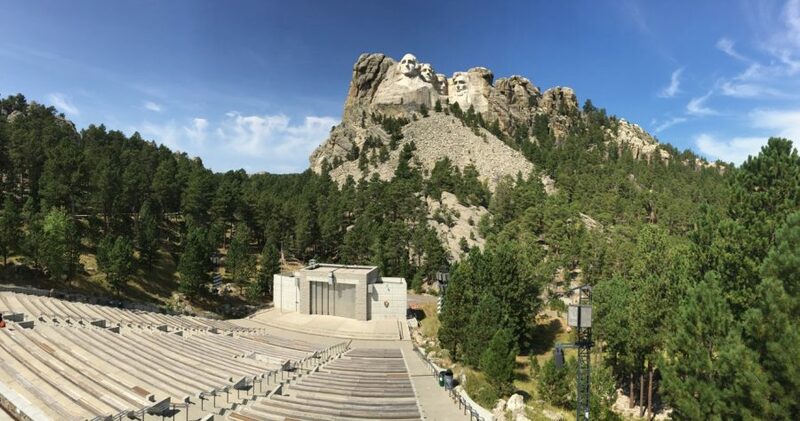 I made it to Mount Rushmore National Memorial around noon. I’d visited as a kid on our western travels, and three more times on my various National Park road trips, but this was the clearest day I’d had. The crowds were much thicker than I had expected after Labor Day. 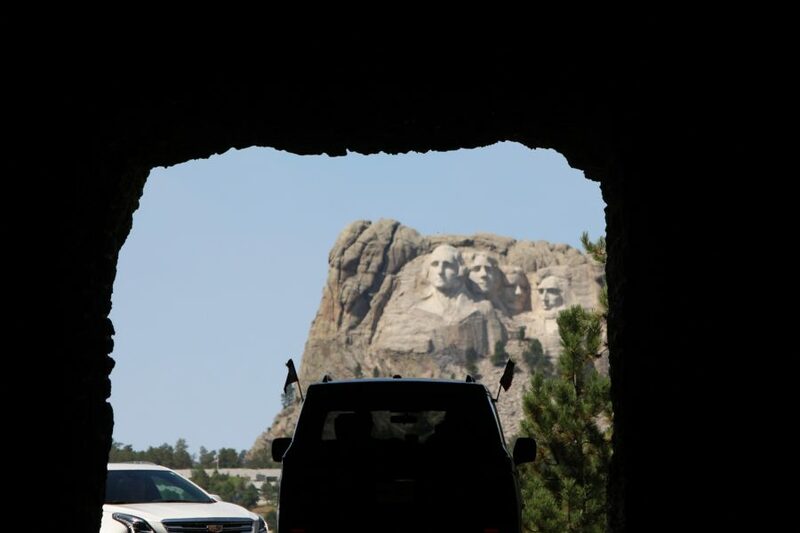 Mount Rushmore is cool, but after checking out the small museums dedicated to the site, and taking pictures of the carvings themselves, there isn’t a lot to do and I was back in my car headed for Custer State Park within an hour. 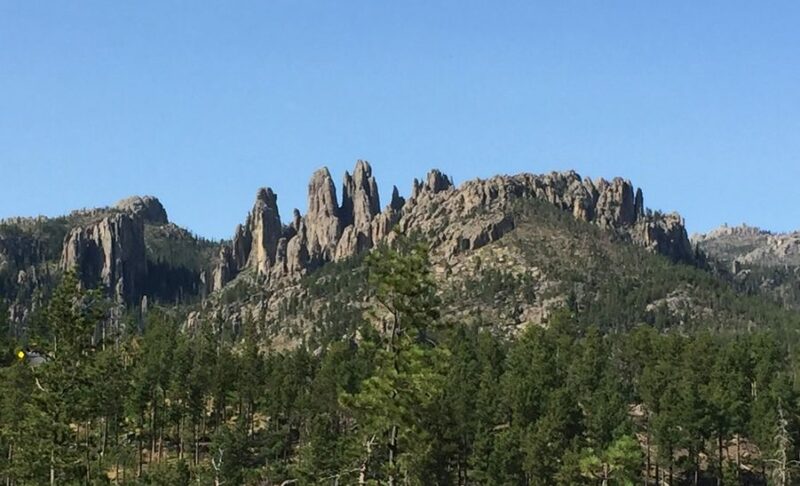 Located in the central Black Hills, this park of small mountains, rock spires and picturesque reservoirs is a true gem. I can not believe it took me so long to explore it. 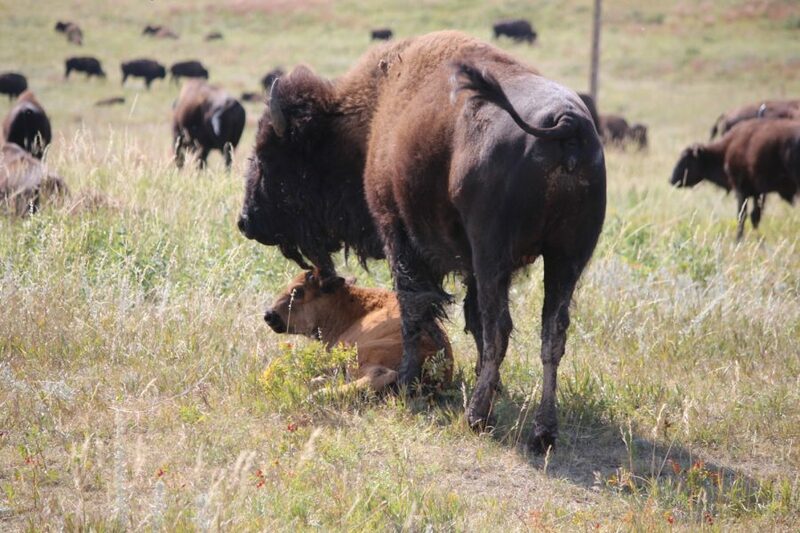 I went looking for buffalo and was not disappointed on the park’s Wildlife loop road, where I was treated to a Buffalo Jam. I shot many pictures much closer than I expected, all from the comfort of my car. 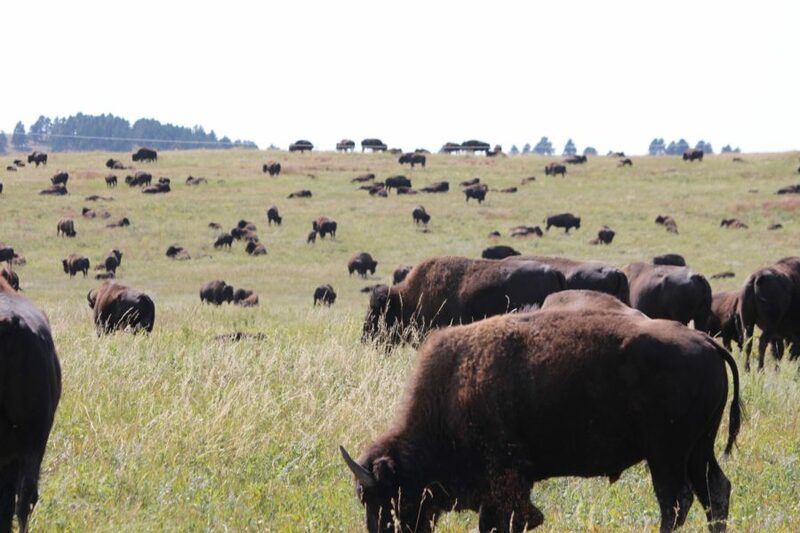 I was told by one of the park workers that there were more than 200 buffalo in that particular herd, but it certainly seemed like more as I passed beside them. 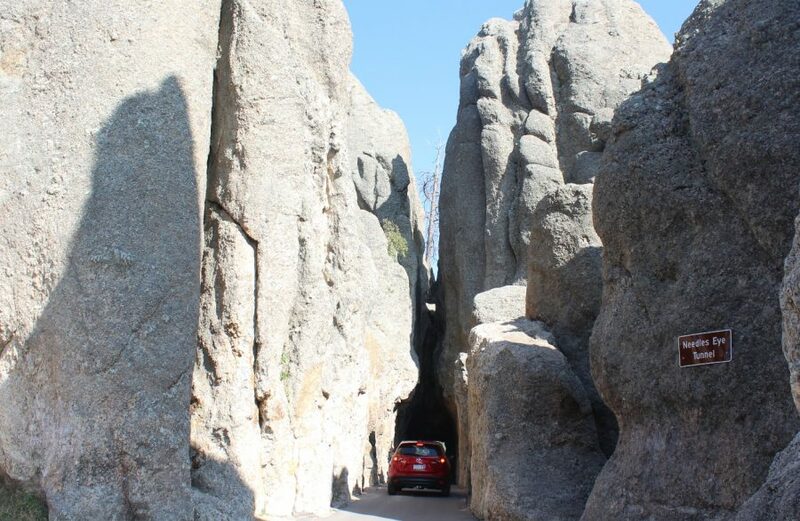 I’d booked a hotel in Rapid City that night, and on my way back I drove the Needles Highway through the western part of Custer State Park. It was a narrow, winding road, with lots of scenic viewpoints and one turn where it goes down to one lane as it passes through a massive cut in the rock. It was truly an incredible drive and one I was shocked that I hadn’t hear more about.